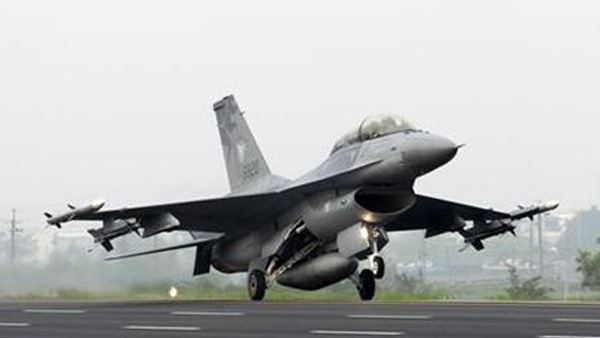 The United States will deliver eight F-16 Block 52 aircraft to Egypt within the next 48 Hours, according to a statement released by the US embassy in Cairo today. This is part of a military package that had been unfrozen earlier this year. The statement also confirms that the United States will deliver four more F-16s to Egypt later in the year, this would bring the total to 12. The embassy, led by Ambassador Robert Beecroft, said in a statement on Wednesday that the F-16s will be flown directly to Egypt from the US, and will be integrated immediately into the Egyptian air force. This is coming ahead of a scheduled "strategic dialogue" between the two countries on Sunday, Secretary of State John Kerry will be arriving Cairo for the talks. Despite US lawmakers' concerns that Egypt is lagging on democratic reforms, Egypt remains one of Washington's closest security allies in the region. Relations had cooled after former President Mohamed Morsi of the Muslim Brotherhood was overthrown by the military in 2013 after mass protests against his rule.However, ties with former general Abdel Fattah el-Sisi, who was later elected as president, have steadily improved. Towards the end of March, US President Barack Obama lifted ban on a supply of arms to Cairo, authorising deliveries of US weapons valued at more than $1.3bn. At the time he directed the release of 12 Lockheed Martin F-16 aircraft, 20 Boeing Harpoon missiles, and up to 125 M1A1 Abrams tank kits made by General Dynamics. Last month, a US government committee approved a 2016 budget that includes the same amount of military aid to Egypt, despite a critical report prepared by the State Department that warned that “the overall trajectory of rights and democracy has been negative”. Each unit of the state-of-the-art F-16 jets costs between $14m and $18m. Last month, two navy vessels were also delivered to Egypt, doubling Cairo's total fleet of Fast Missile Craft to four.